Bored on Board? Not a Chance! They say the best-laid plans of mice and men often go awry. 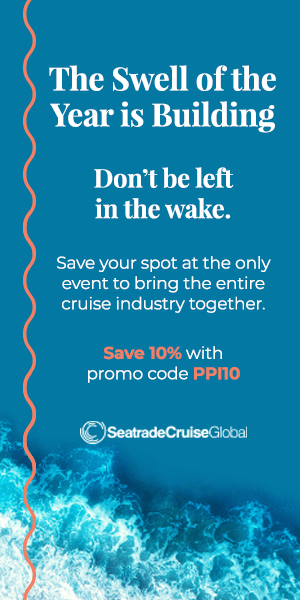 I say, so do the best-laid cruise plans of moms! 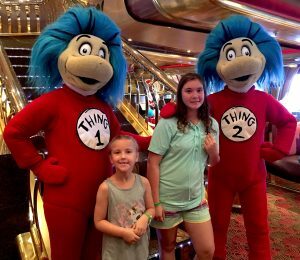 I recently surprised my two daughters, Michelle and Jenna, with a 3-night cruise aboard Carnival Liberty. 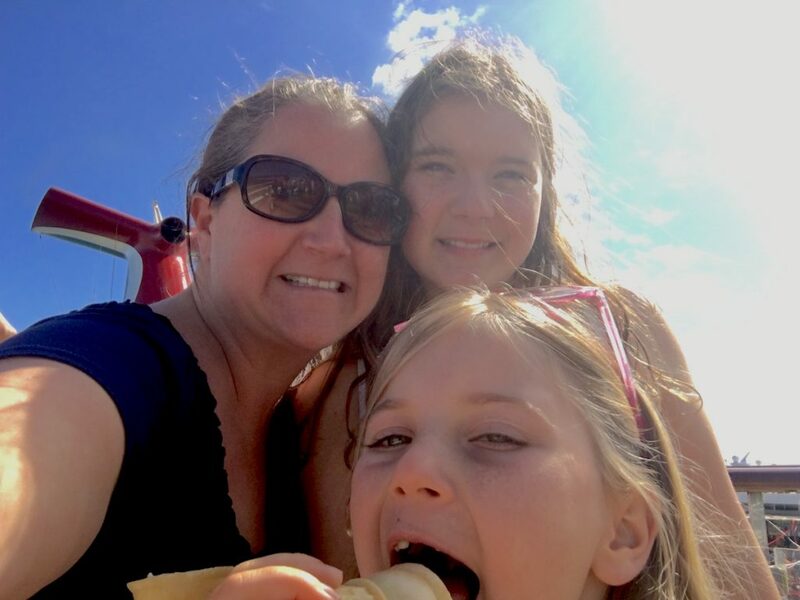 The story in my head was clear: a quick mother/daughter weekend getaway where there’d be an even proportion of them time (pool and waterslide), we time (quality time shopping), and me time (aroma stone spa treatment, here I come). 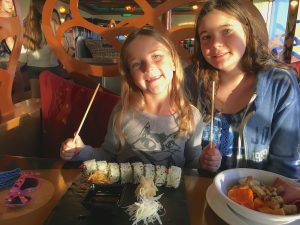 But these plans quickly became derailed when my too-cool-for-school 11-year-old claimed she’s not going to the kids’ club, bringing down the 7-year-old at the same time. I tried to fight the fight. I pleaded. I begged! “Just give me one hour — ONE HOUR?! — in Serenity” (Carnival’s adults-only retreat). But it was a losing battle and became clear that the next 48 hours better be filled with pure, nonstop entertainment. 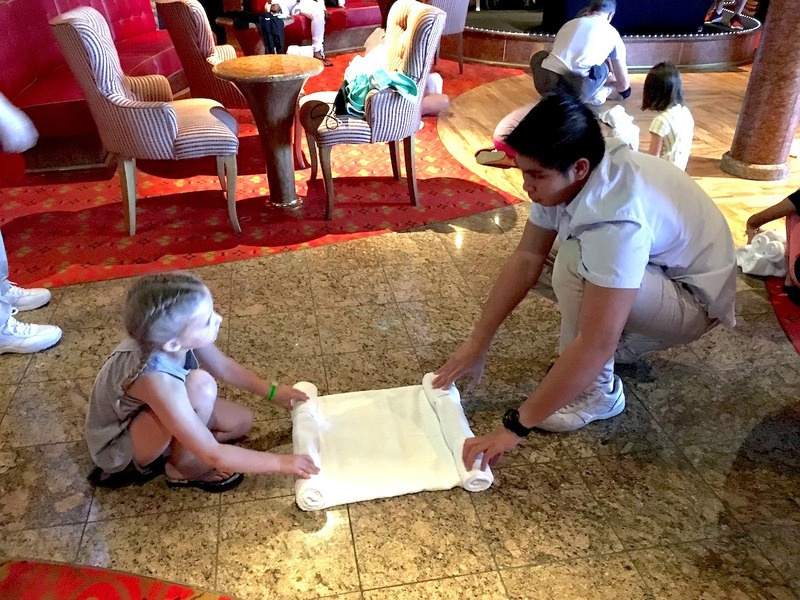 After two full, fun days on a Carnival Fun Ship, I discovered five things to do when your little shipmates refuse to leave your side. 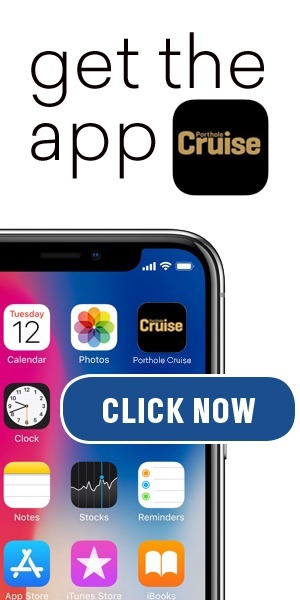 We’re on a cruise after all! And this calls for the exception of multiple daily ice cream cones, visits to Cherry on Top candy store to fill up bags with our favorite treats, and definitely partaking in the Chocolate Extravaganza buffet complete with every kind of chocolate cake, chocolate pastry, and chocolate-dipped everything you can imagine. (O.M.G.) But cruising also means the chance to try new things (or, be forced to try new things in this case). So I was actually impressed when both kids agreed to try sushi for the first time, and were later treated to “the fanciest restaurant we’ve ever been to!” at Diamonds Steakhouse for a fa-fa-fancy Ceasar salad followed by a New York strip, natch. However, for my burger-loving 11-year-old, nothing could compare to a Plain Jane Guy Fieri burger on the Lido Deck. Just be sure to check the times, as I’m STILL hearing about how she missed getting one on the first day of the cruise because I didn’t realize it closed at 6 p.m. The horror! In the evenings, we alternated between Dive-In Movies — complete with popcorn and cozy blankets — to watch a selection of family movies. And yes, no matter how many times you’ve already seen Moana, there is just something about enjoying it under the stars with the wind in your hair that makes it that much better. 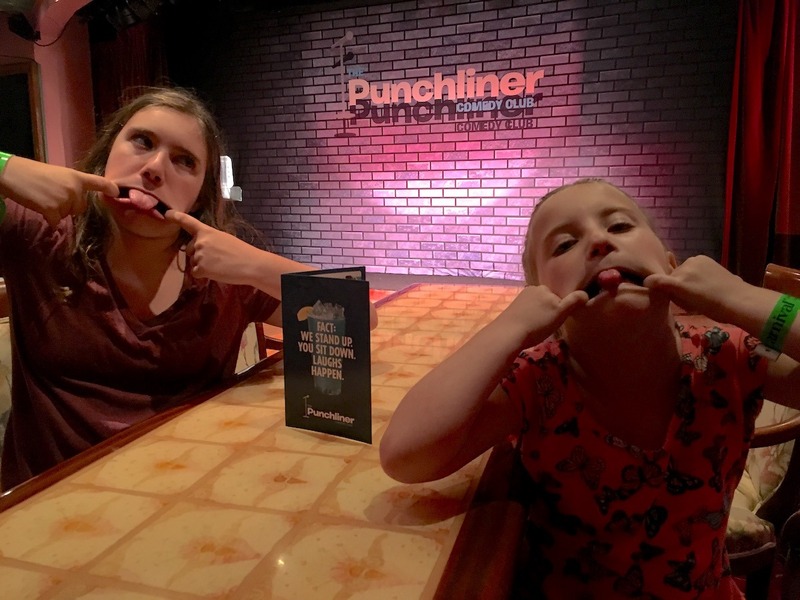 Other nights we made our way to the Punchliner Comedy Club for PG-rated–versions of the ship’s comedy acts, Mike Macy and Just June. Since it was my kids’ first comedy show experience, I warned them that sitting right up front ensured we’d get made fun of (truth!). But they didn’t seem to mind, as they insisted we come back the next night early to get the same exact seats. Fine. If I wasn’t going to get my solo spa treatment, I figured I’d check to see if there were any spa treatments for all of us. In fact, there were several teen and kid spa options including Ice Cream Manicures and Pedicures as well as a Mother/Daughter Paradise Massage (and even a Father/Son Chill Out Massage). Unfortunately, I waited too long and no more appointments were available (#MomFail), so it was on to relaxation option #2: We WILL spend a couple of hours in our stateroom resting, relaxing, reading — and watching reruns. 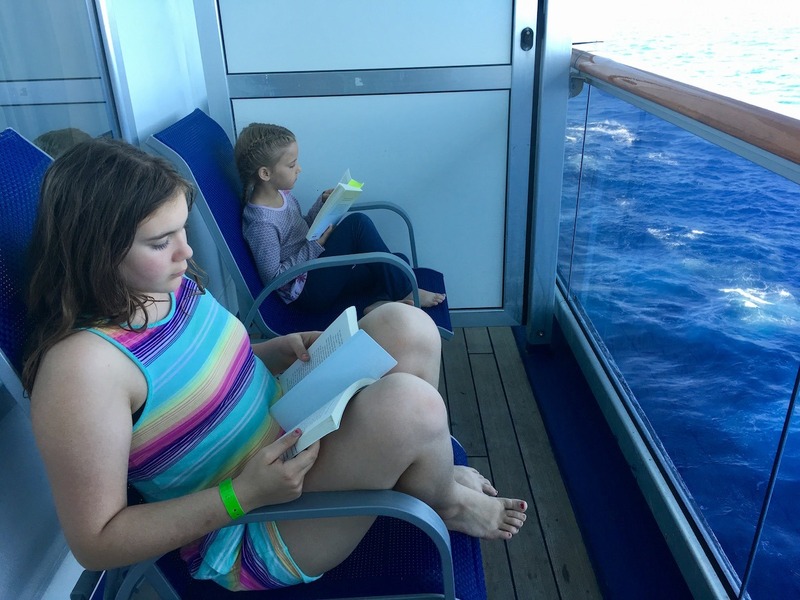 Like it or not, we all spent some time on the balcony reading (yes, actual books!) as we enjoyed the fresh sea air and soothing horizon. Then, we snuggled up in bed to relax some more as I introduced them for the first time to one of my all-time favorite TV shows, Friends. Just me, Michelle, Jenna, Ross, Rachel, Monica, Chandler, Joey, and Phoebe. … Turns out, my spa treatment can wait. It doesn’t get any better than this.